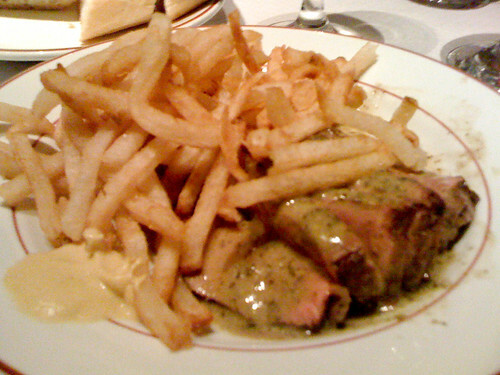 One of our favorite meals is Paris was L'Entrecote from Le Relais de Venise. The restaurant is an institution and was only a 10 minute walk from our apartment. See the link below for details, history and pics. What made their meal special was Madame's secret sauce. I've tried for years (as have many others) to recreate with limited success. After searching the web and seeing much conjecture from France, UK and the US... I've taken parts of several recipes and believe that I've broken the code. 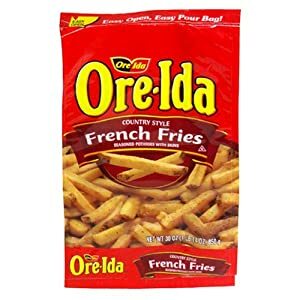 I did 'steak frites' this week along with a homemade Dijon dressed salad with walnuts. Below is my version that I'm sharing with just a few of my closest family and friends here at TRR. I have officially stolen the recipe for my file Thanks!! The idea of minced anchovies might put some off. However, when they're finely chopped... cooked with the shallots early in the process... they give it a great base without any 'fishy' flavor. Yep, @NCTexan, the minute I saw anchovies in the recipe I said, 'Not for me.' But your encouragement might get me to try it, especially since you have gone to such great lengths to decipher/recreate the recipe. Congratulations on your success and receiving righteousmomma's worthy reaction. @NCTexan.....well that looks good (even for a boring vegetarian). It is so nice you have a love of cooking & experimentation. how do you do your potatoes? I have found I can omit (AND DO) anchovies all the time. Normally the recipe is void or low in salt & I will compensate. My musicman Bill likes his pizza with just triple anchovies! The sauce was simply delicious. My eyes are still rolled back. You have to make a generous amount of the sauce . Everything from the French mustard dressing to the wine is necessary. What secret is going on here? Which one of you guys is Admiral Shelby? And whcih one of you guys is merely Lt. Cmdr Lefler? The guy that smells like anchovies is the Admiral.